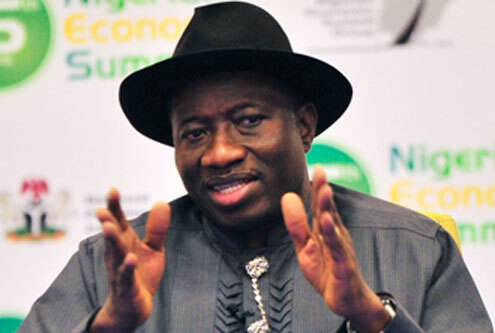 PDP: Jonathan right not to make assets public - kaycee Weezy! The Peoples Democratic Party on Tuesday rose in stout defence of President Goodluck Jonathan, saying he had done nothing wrong or violated any law by refusing to make his assets public. "In order to set the records straight, we wish to state that President Goodluck Ebele Jonathan has duly declared his asset in compliance with the provisions of section 140(1) of the constitution of the Federal Republic of Nigeria," the ruling party, known for defending the indiscretions of its members, said in a statement. "He has completed the relevant documentations and submitted same to the Code of Conduct Bureau. It is important to note that there is no further legal requirement in this regard as it concerns the declaration of assets. "President Jonathan had during his third presidential media chat on Sunday condemned the mounting calls on public office holders to publicly declare their assets while in office, saying such clamour by Nigerians is not right, as officials should be allowed to determine whether making their assets public agree with their principles.He made it clear his own principle disagree vehemently with allowing Nigerians know how much he is worth and what he really owns, adding that when the matter came up during his time as Vice President to late President Musa Yar’Adua he made it very clear it was not a right decision to make his assets public.But in the statement by its spokesperson, Olisa Metuh, the PDP said Mr. Jonathan was right in refusing to publicly declare his assets. "Publishing the declaration of assets is not a requirement of law or the constitution," Mr. Metuh said. "Any decision to make public such a declaration is at the discretion of the individual concerned and should therefore not be used as a reason to distract the government from performing more critical constitutional duties. "The party said it could "attest to the high degree of integrity and transparency of President Jonathan." "We urge him to remain focused on the great task of revamping the economy and delivering the dividends of democracy to Nigerians. The task of transforming Nigeria into one of the most vibrant economies in the world requires the cooperation of all Nigerians. The President must therefore not be distracted by issues that have no bearing on the fundamental needs of the nation. "The statement also said Mr. Jonathan's refusal to make his assets public violated no sections of the PDP manifesto."